Despite being one of Nintendo's oldest and most beloved franchises, Metroid's modest sales figures mean that it isn't always the company's top priority. As a result, it has sometimes gone up to eight years without a new game. Last year's Metroid Prime: Federation Force broke a six year absence streak, but its tepid sales and reception meant that fans feared for the IP's future. Today at E3, Nintendo chewed those paranoid thoughts and spat them across the cosmos. We're getting two new games that have been demanded for years upon years: Metroid: Samus Returns on 3DS and Metroid Prime 4 for the Switch. Metroid: Samus Returns is a remake of the classic Game Boy game, Metroid II: Return of Samus. That game had more to benefit from a remake than any other title, what with the original being greyscale and lacking modern conveniences like a map. The remake is so much more extensive than just injecting a new colour palette, though, as it overhauls the art style and introduces countless new mechanics. It's best seen in motion. The game is being developed by MercurySteam, who previously worked on the Castlevania: Lords of Shadow games. I guess the term "Metroidvania" has come full circle. You can grab the game on September 15 this year. The second game, Metroid Prime 4, has little tangible information to speak of besides a teaser trailer and a couple tidbits. If we're to operate purely on assumptions, it'll be another first-person shooter/adventure game with 3D exploration and environmental puzzle solving. Hey, I have to cover my bases in case it's actually a Metroid-themed casino simulator. We do know that it won't be developed by Retro Studios, who was responsible for the previous outings. That could result in an entry that feels a little different. Besides the games themselves, there's going to be some new Metroid merch to go around. Samus already had an amiibo, but two more are on the way. A squishy little metroid creature and a version of Samus in her iconic Metroid II cover art pose look pretty nifty. 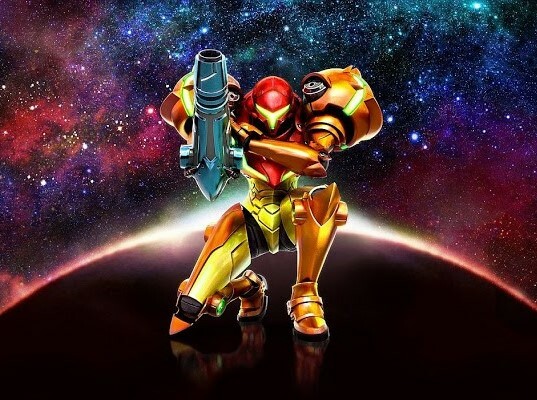 A version of Samus Returns will include a music CD with 25 tracks. Which game entices you more?